California is a beautiful state that has so many areas to visit and explore. The best way to explore California is in an RV rental. If you own an RV you can do it that way but a lot of people don’t own one but want the experience of exploring in an RV. You have so many cool areas that would be perfect for exploring in an RV such as Yosemite, the Redwoods and Joshua Tree to just name a few. Plus you have so many areas on the coast such at Big Sur, Santa Cruz and Eureka to just name a few. All you have to do is travel highway 101 and you will come across a bunch of really cool towns and surf spots. The best way to explore all of these areas is in an RV or with a travel trailer. California is also home to a bunch of major cities such a San Francisco, Los Angeles, San Diego and Sacramento. Most of these cities have professional sports teams and some major college sports teams. So California is no joke of a state. Most of these cities also have major airports so travel to and from anywhere in California is pretty easy. No matter where you are at in the state you have close access to some sort of camping. As I mentioned earlier the best way to experience these locations is in an RV. When renting an RV in California you have a few different options. This is my favorite one and it is catching on fast and the concept behind it makes sense. Have you heard of AirBnb? Well, this is the same thing as AirBnb but it’s for RVs instead of for rooms. You have a couple popular options to choose from when you choose this path. RVshare is one such option. I have used them before and check out my review of RVShare here. The concept is simple. People own RVs and trailers that they want to rent out to make a little extra money. The website acts as a intermediary. You go to the website put in all relevant information and they list a bunch of RVs and trailers for you to rent with precise location and price. Remember you are renting from people so don’t wait till the last minute because they may never get back to you. Over all this is an amazing way to rent an RV. This is a very well know way to rent an RV. Have you ever seen the Movie RV with Robin Williams? These RVs are very similar to the one they rented in the movie. If you don’t know what I am talking about google it or watch it. Basically the name Cruise America and their phone number are plastered all over so you are a traveling billboard for them and it screams tourist very loud. If you don’t mind this then go for it. They do tend to be a little pricey but they have a good reputation and if you get in an accident you are covered by their insurance you pay extra for which is well worth it. Know exactly what you are getting into because if you are not careful you will find out they can charge you extra for a whole lot. Read the small print! 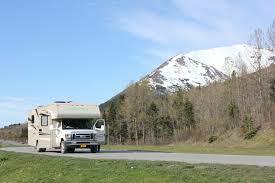 Overall this is still a good option for renting an RV. This is also another good way to go for renting an RV. The positive for going this route is you are dealing with a dealership that has procedures and protocols in case anything goes wrong and they service and maintain them well because most have a service department on site. The down side is they tend to be a little expensive and you have to deal with the hours they are operational. There also might not be a dealership that does this where you are going. So you have to make sure you have one lined up and all the logistics figured out before hand. When renting an RV in California make sure you do your research before hand and then go out and have a blast! California has so many places to explore.